Just in time to compete with Mighty No. 9 (which is out in September), Capcom is releasing a compilation pack called Mega Man Legacy Collection, to be released on PS4, Xbox One, and PC this summer (with a 3DS release coming in the winter). 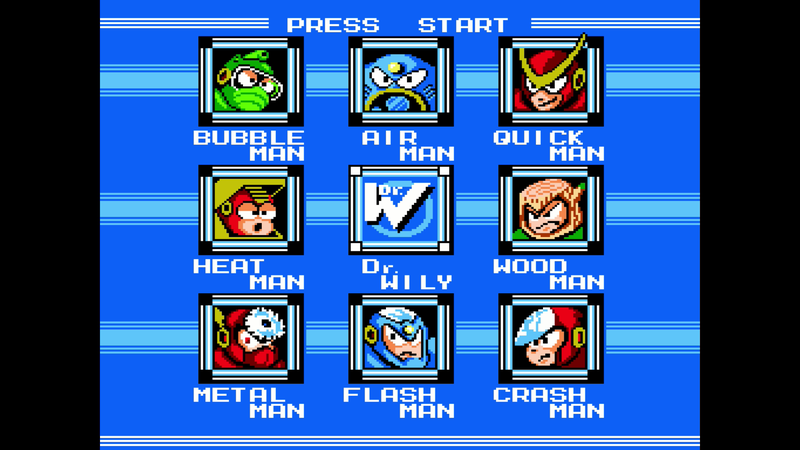 Mega Man Legacy Collection is a celebration of the 8-bit history of Capcom’s iconic Blue Bomber. Featuring faithful reproductions of the series’ origins with the original six Mega Man games, the Legacy Collection will remind long-time fans and introduce newcomers to what made Mega Man such a popular and iconic character. In addition to the six Mega Man games, Mega Man Legacy Collection features new ways to experience the classic games with the Museum Mode and new Challenge Mode. Challenge Mode remixes gameplay segments from all six games, with plenty of scaling difficulty objectives for experienced players to conquer yet serving as a good starting point for new players, too. Museum Mode contains a comprehensive collection of history, high-res art and original concept pieces – a mega treat for any fan of Mega Man and video game history. So Capcom does remember that Mega Man exists.